Police said that on Thursday, there was an encounter between militants and government forces in Traal area of ​​Pulwama district of south Kashmir. 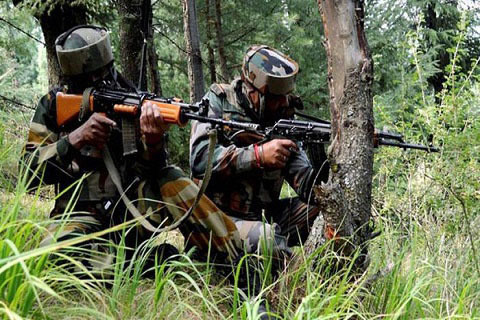 Police said on Twitter, "Exchanging fire between security forces and terrorists at the high reach of Taral Avantipora." "As soon as the forces approached the suspect place, hidden terrorists fired," Meanwhile, as soon as the news of the firing was going on in the city, youth came on the streets protesting. An eye witness said the forces resorted to arial firing after the youth pelted them with stones.